If we are to save the planet for future generations, it's time to take action against the power and influence of the fossil fuel industry. 13th-14th February is Global Divestment Day. Thousands of people across 6 continents taking collective action to show the strength of the growing global divestment movement and demanding our institutions go fossil free. The call for action in the UK comes in the form of a series of events targeting the health, faith, university, local authority and bank decision makers, as well as personal and political action. As a pensions negotiator, I recognise that occupational and personal pensions are an important part of the campaign. The Scottish Local Government Pension Scheme invests £26bn of our members money and too much of this has been invested in ways that are harmful to our members. These are all good reasons for those making investment decisions to divest, even under the constraints of fiduciary duty. Those of us lucky enough to benefit from decent pensions should ensure they are used for good, not evil. 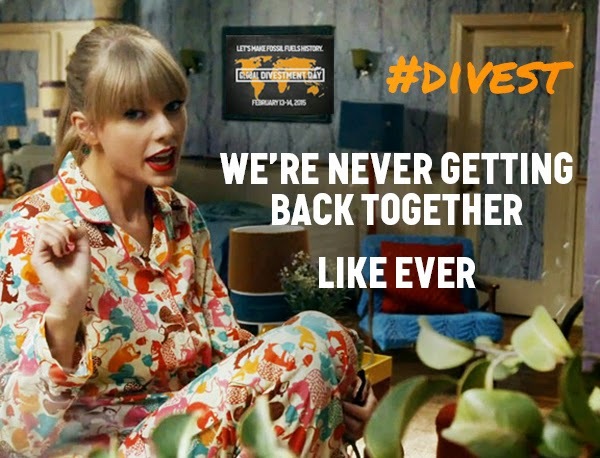 Divestment has been used effectively throughout history to place social and economic pressure on an industry or government that is causing harm. By publicly withdrawing financial support, fossil fuel divestment addresses the root of the problem – the unchecked expansion of fossil fuel companies on an endless quest for profit.